The beautiful thing about messenger and video apps having voice and video calling options is that even if someone is on the other side of the world to you, you can still call them for free. However Snapchat users in the United Arab Emirates are finding themselves unable to call other users. 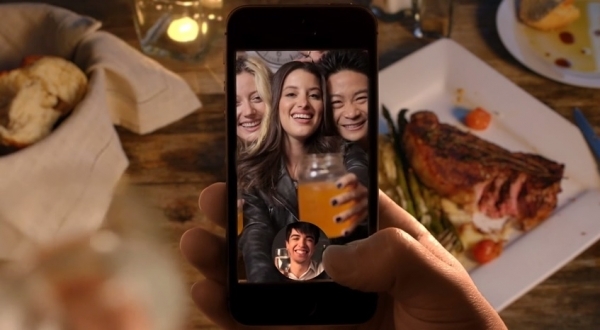 Snapchat isn't the only app that has had it's voice and video calls blocked in the country. If you want to Facetime or call someone using Whatsapp or Skype then you'll find you can't. In fact the only voice and video calls that are allowed in the UAE are calls made on Facebook Messenger. It seems weird that one of Facebook's services seems acceptable but another isn't. Even so it's still good news for Facebook who can then count on more users for their own service. The reason for these services being blocked is that voice and video calls are restricted within the UAE as only service providers Du and Etisalat can control them. Both service providers have said that voice and video calling would be allowed if the companies can coordinate with them to provide a service that they're happy with. Facebook have obviously sorted everything out down at that end whilst providers like Skype are saying there's nothing they can do. However, what you have to remember is that this law only affects voice and video calling online. Snapchat users can still make rest of the rest of the app's services; it's purely calling that has been blocked. It is a shame that people can't call other users with the app as it was an amazing new feature but it's not the end of the world. If Snapchat feel that this new feature is important then there is an obvious way around it. However only 7% of Snapchat's users are in the UAE and only 22% of those users are the teenagers who are most likely to use these chat features. Due to this, Snapchat might not see any point in arranging things so they do meet the guidelines that Du and Etisalat put out there. This block shouldn't have too devastating an effect on Snapchat but it's still kind of disappointing to hear. Not every person is going to want to use Facebook Messenger every time they need to video call someone. Skype is more practical, Snapchat easier if you're on the move and some people just generally prefer Whatsapp. At the moment we don't know whether Snapchat plan to tackle this issue or not but you can only hope they do as users in UAE will otherwise be missing out on a useful feature.